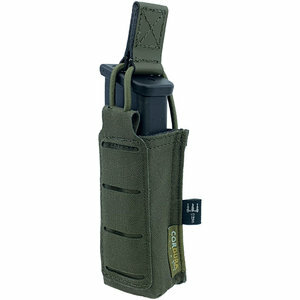 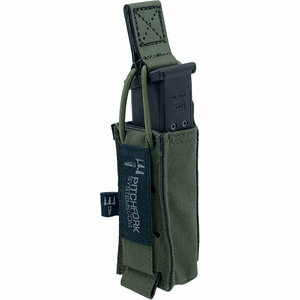 The Open Single Pistol Magazine Pouch can hold the usual double-stack pistol magazines, equally wider .45 cal. magazines fit perfectly. The highly resistant and slightly elastic Hypalon pull tab is adjustable in length. 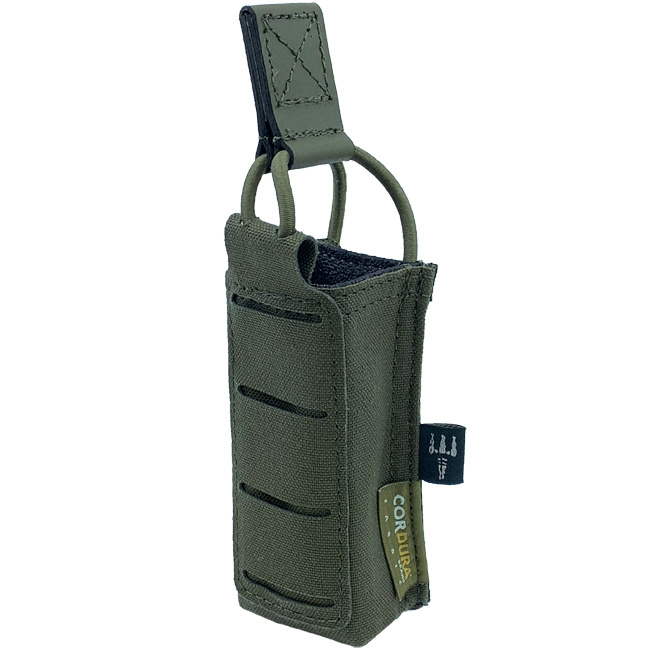 For a better grip, the inside of the pouch is lined with an anti-slip material. The front has a MOLLE system-based LaserCut surface, which can be used to mount additional pouches.